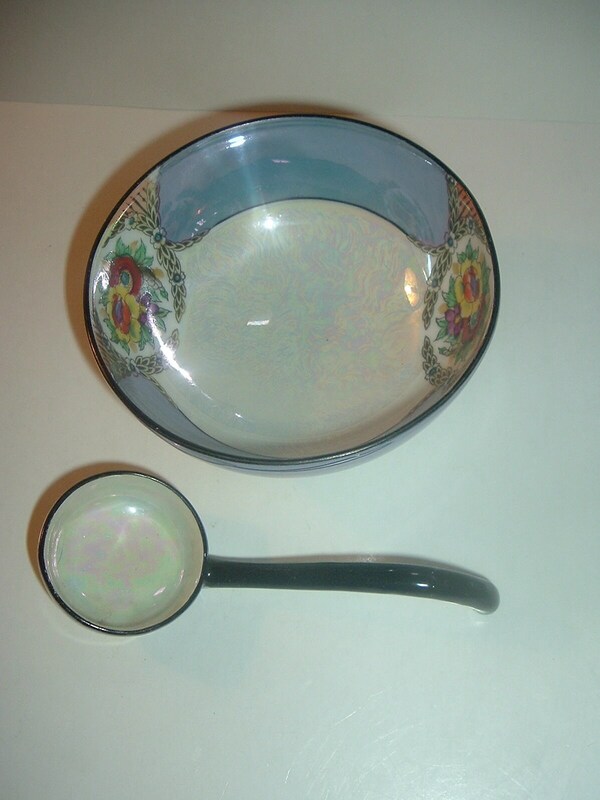 This is is a two piece set by Noritake -- consisting of a little footed bowl measuring approx. 4 3/8" across the top rim and a ladle approx. 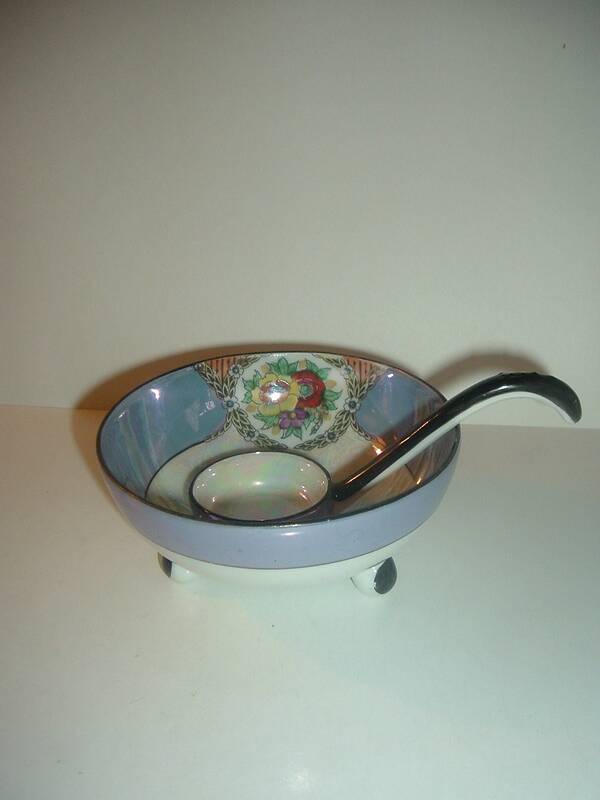 5"L. Both have blue and creamy white lustre with black accents. 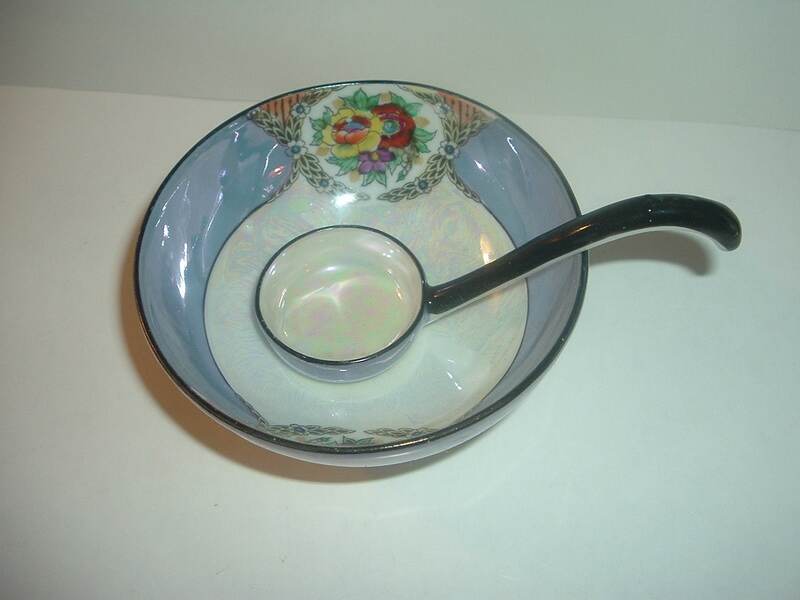 The bowl also has a floral design on the inside. Both are excellent -- with no chips, no cracks, and little to no wear. 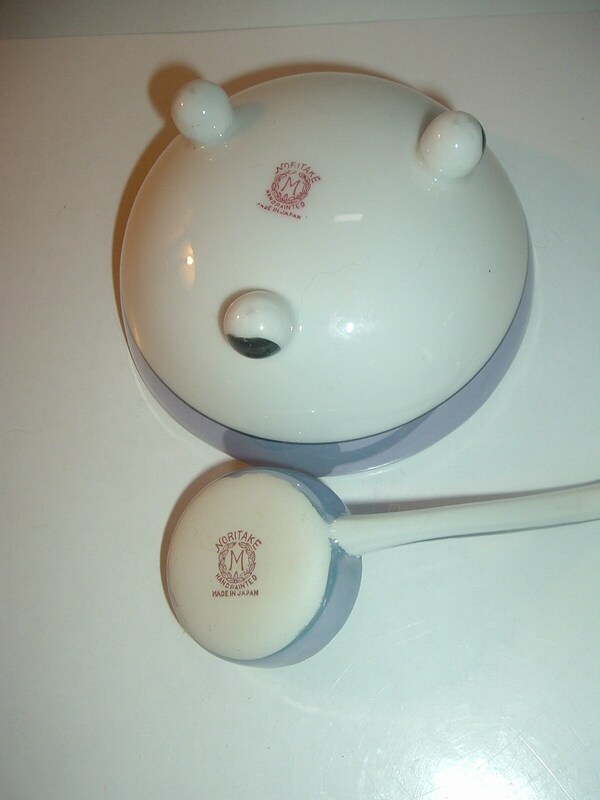 The bowl and ladle have the red M in wreath mark on the bottom. A nice little, vintage set! I gladly combine shipping.